How pretty are those flowers?? Yellow is one of my favorite colors, and I absolutely love the yellow and pink flowers together. Makes me happy just looking at them. My sweet husband bought those for me the other day, and I am once again reminded of what a lucky girl I am. 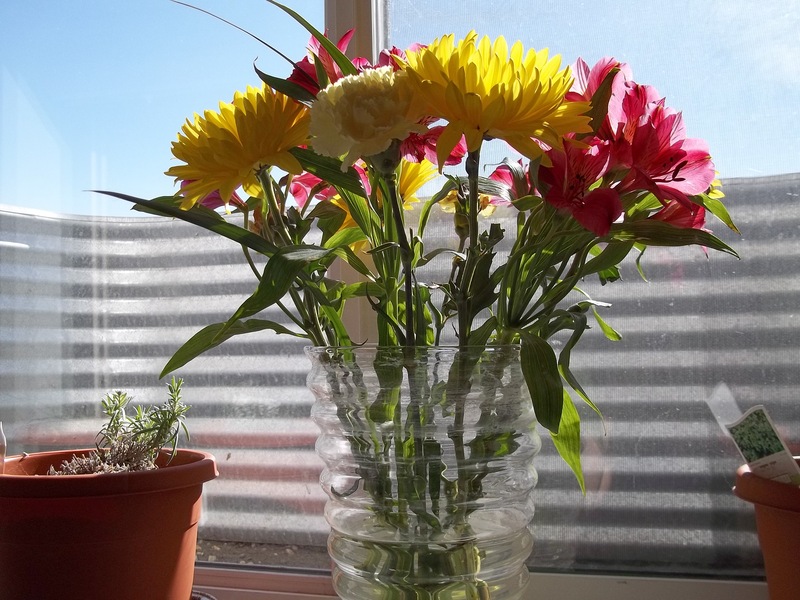 How many husbands regularly go about surprising their wives with flowers?? I’m excited about sharing this recipe today too because it’s delicious! It’s like those Western breakfast scrambles you can find on restaurant menus except this one is baked in the oven. Great for a breakfast for dinner night (love those!) or for a special weekend breakfast. You can also get creative and add other vegetables and ingredients you like. I love playing around with recipes! I fried up some sliced apples and pears in a little butter and brown sugar to go along with. 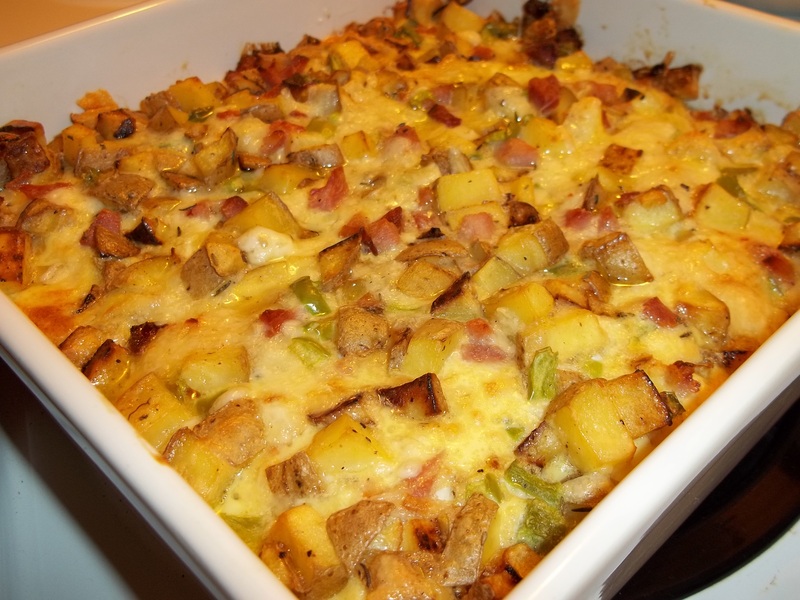 It made for a great breakfast for dinner meal that I will definitely make again! Heat oven to 350 degrees. 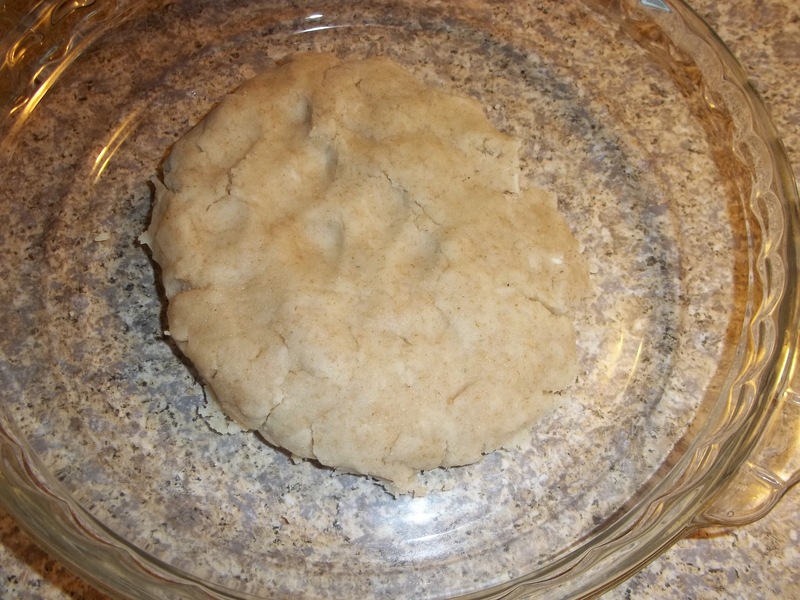 Grease a 9×9 inch baking dish. In a mixing bowl, whisk together the eggs, onion powder, thyme, and salt and pepper. Stir in remaining ingredients. Pour into the prepared baking dish. Bake for 40-45 minutes or until set. I am a HUGE fan of lemon-flavored things, especially breads and desserts. So it’s not surprising that I instantly loved this lemon nut bread after the first bite. 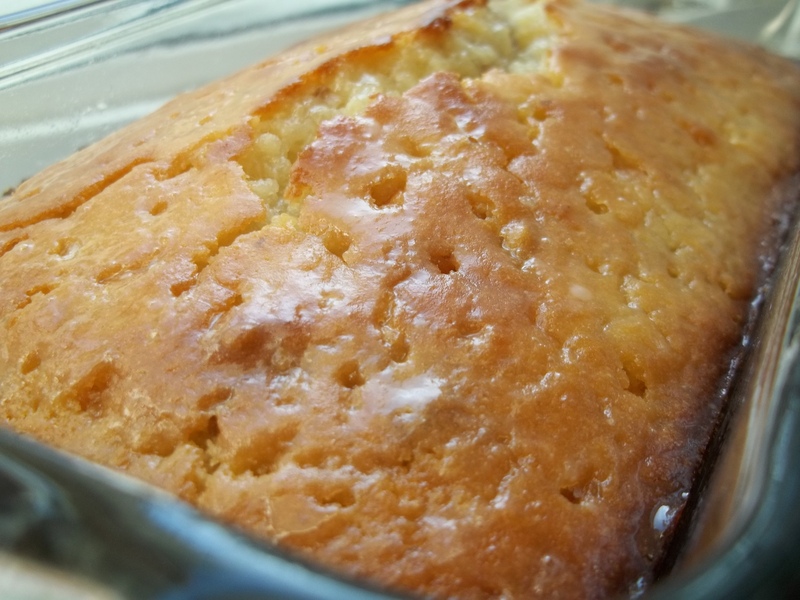 It is so moist and delicious, and the lemony glaze on top that soaks into the bread just makes it extra special. This would be perfect to make on the weekend and enjoy with a cup of coffee or tea. And non-recipe related, but I just have to say that spring has finally arrived here in Alberta! The snow has melted away, the grass is green, and the trees are slowly but surely budding and bursting with color. It’s about darn time! I literally feel my spirit lifting as I see more and more of the landscape changing color. I hope spring has arrived where you are too. 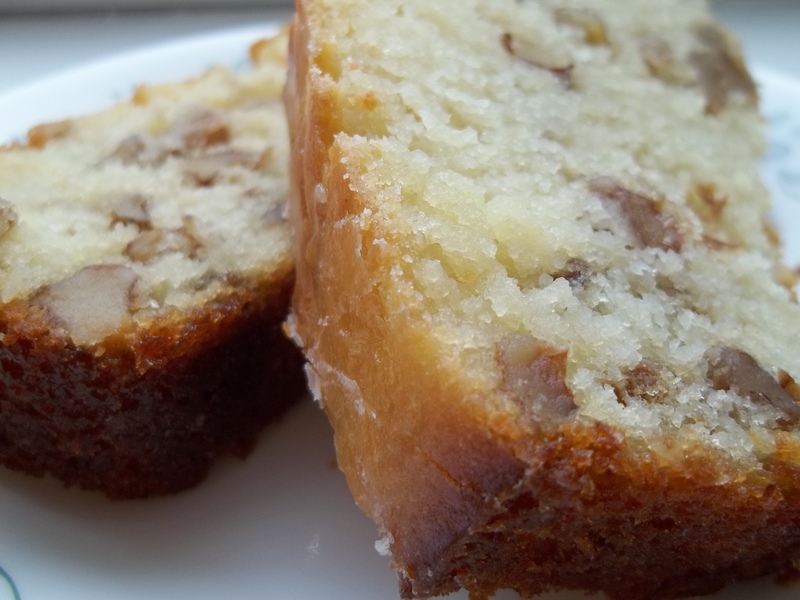 And I hope you give this lemon nut bread a try! In a large bowl, beat together the butter and sugar until light and fluffy. Beat in the eggs one at a time. Add lemon juice and peel. In a separate bowl, stir together flour, baking powder, and salt. Add to the wet mixture, alternating with the milk. Stir in the pecans. Pour into a greased 9×5 loaf pan. Bake for 50-60 minutes, or until a toothpick inserted comes out clean. In a small bowl stir together the powdered sugar and 2 Tb lemon juice. Poke holes in the loaf with a wooden pick (I used a kabob skewer). Drizzle glaze evenly over the top. Let stand 10 minutes. Remove loaf from pan and let cool completely. 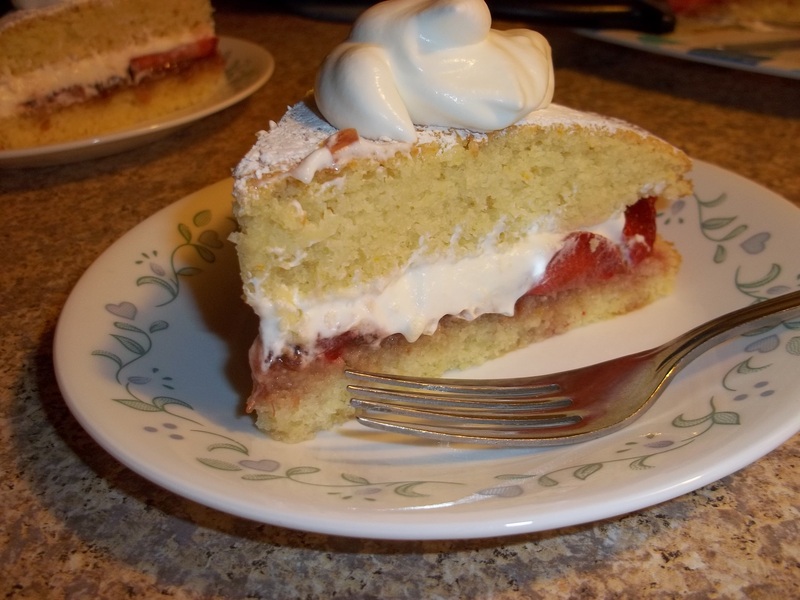 I have a fantastic dessert recipe to share today! This is actually the dessert I hinted that I would be making for Easter. It turned out beautifully, so of course I have to pass on the recipe to all of my dear readers as well. To give credit where credit is due, I found this recipe on a wonderful Youtube channel called Laura in the Kitchen. 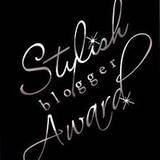 I highly recommend checking her site out, I’ve made several of her recipes and they’ve all been delicious! How good does this cake look?? I love making things with fruit this time of here, and strawberries just epitomize spring to me. The complete recipe (and video as well) can be found here on Laura’s website. 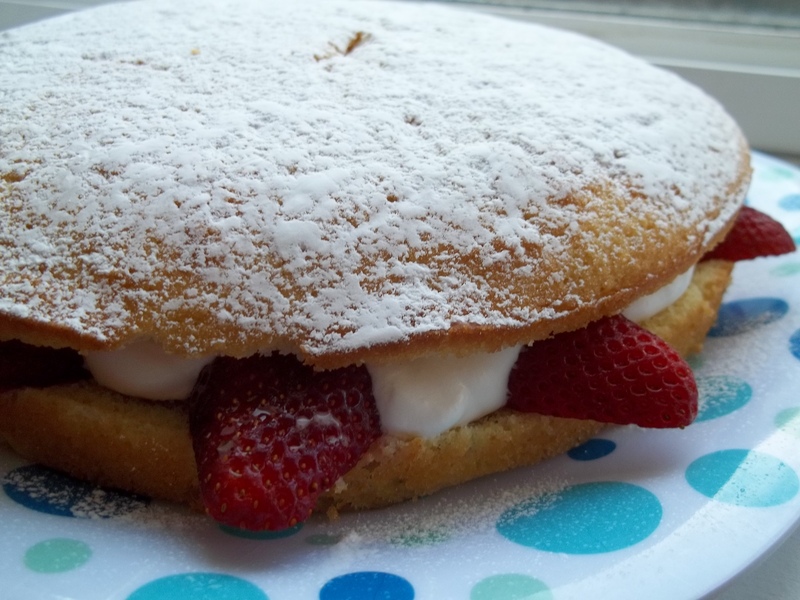 Give this cake a try, I guarantee you won’t be disappointed! 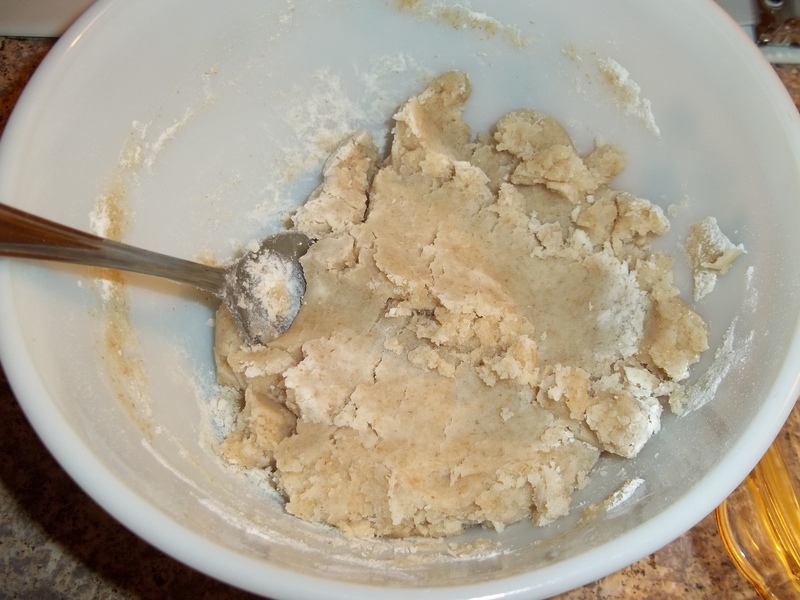 Easiest pie crust you will ever make, I guarantee it! I have been meaning to share this recipe for a long time, and today I’m finally going to. This is the pie crust I always use, and it’s an absolutely no fail recipe. I readily admit that making a traditional pie crust is an art that I have just never been able to master. With this pie crust I never have to worry about whether it’s going to turn out okay, and it takes a lot less time to make. Simply mix together the ingredients in a bowl, like so. Turn it out into a pie plate. And just start pressing with your fingers until, voila, it looks like this! 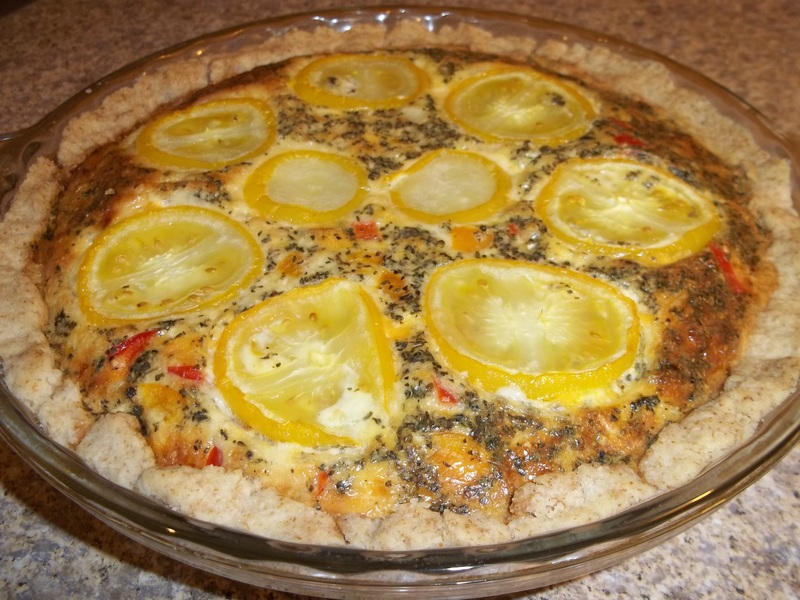 This crust was used for this savory summer pie recipe, my absolute favorite quiche. Stir together the flour and salt in a mixing bowl. Add oil and milk, 1 Tb at a time, until the dough comes together into a ball. 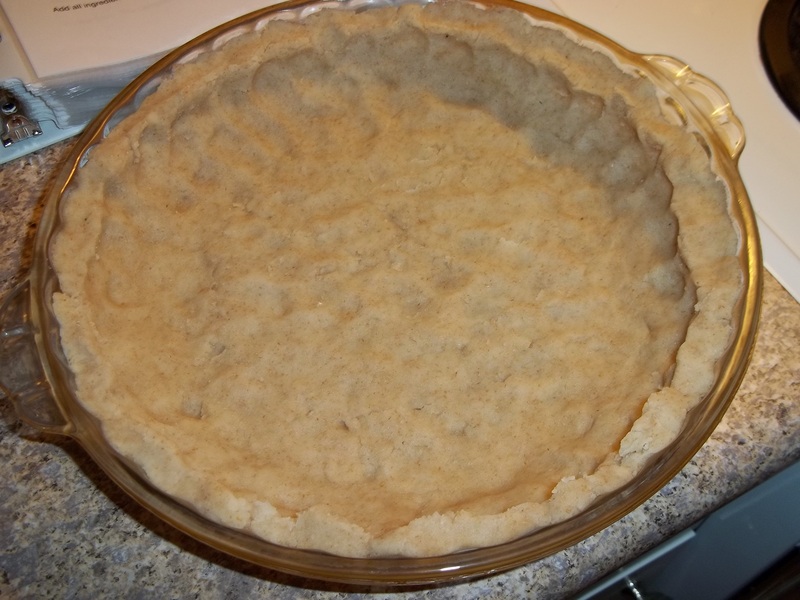 Turn out into a pie plate and press into the bottom and sides to form a crust. Bake at 425 degrees for 10-12 minutes, or until lightly browned. This crust works equally well with sweet and savory dishes. Now that our long, harsh winter is finally coming to an end and spring is here (it really really is, I can see green grass in places!) I find myself craving salads more than ever. I’ve had enough of rich, heavy foods! Give me foods that are light and fresh! I love cooking with different grains, and quinoa is one of my favorites. I had some red quinoa in my pantry, and I wanted to make a salad with it but couldn’t really find any recipes that were quite what I had in mind. So I took some ideas from here and there and came up with my own salad. And if I may toot my own horn a little bit, I must say this quinoa salad creation of mine turned out delicious! 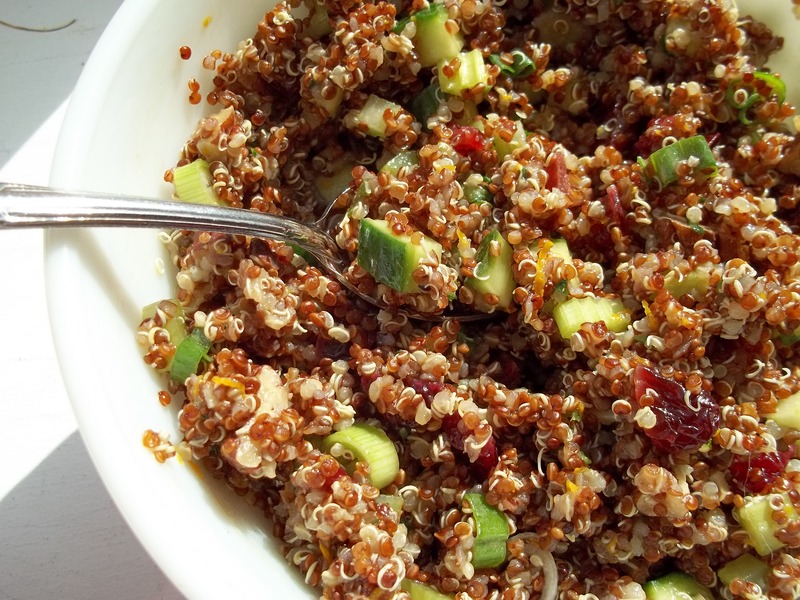 It’s also super healthy, quinoa being one of the most nutrient-packed grains out there. If you’ve never had quinoa before, now’s the time to break away from that boring old rice and pasta and try something different! It may look like there’s a lot of ingredients, but other than the quinoa, you probably already have most of them on hand. In a saucepan, bring 3 cups of water to a boil. Add the quinoa. Cover, and cook over low heat for 15-20 minutes, or until all the water has been absorbed. Set the quinoa aside to cool. Add the remaining salad ingredients to a large bowl. Add the cooled quinoa. In a small bowl, whisk together the dressing ingredients. Pour over the salad, and stir to make sure everything is coated. Good Saturday morning! Does everyone have lots of yummy things planned for tomorrow’s Easter dinner?? 🙂 It’ll be just Jay and I (like always), and since I still have ham in the freezer from Christmas, I’m going to make a big pan of ham and scalloped potatoes. I’m also super excited about the dessert I’m going to make, I think it’s going to be awesome! If it turns out the way I hope, then you bet I’m going to post it for y’all to enjoy too. But let’s talk about the topic of this post, which is about chopping hard-boiled eggs. What better time than now to share this tip when I know many of you will be coloring Easter eggs and having lots of hard-boiled eggs leftover. 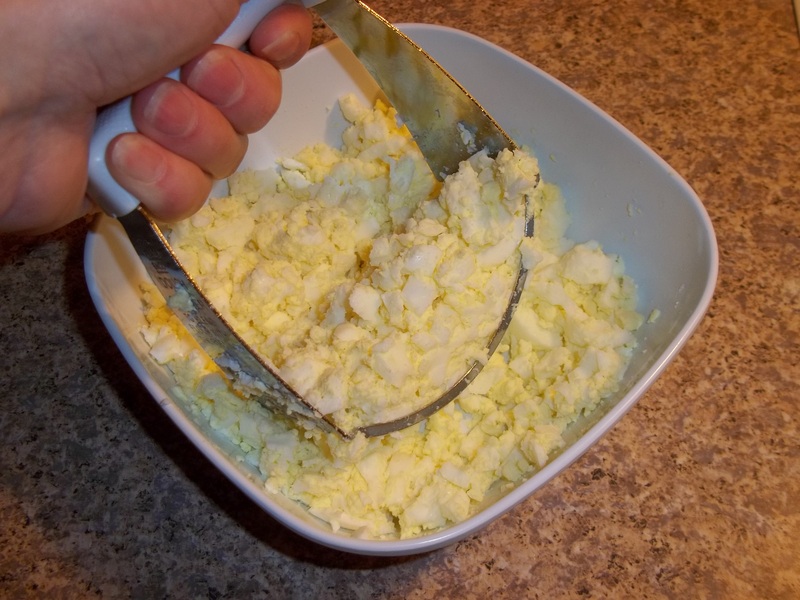 I love this method because I like my eggs finely chopped, and the pastry blender does that very quickly. I don’t have to go back and forth with my knife, trying to get them as fine as I want. I had a hankering for something with blueberries the other day. Luckily, I had a bag of blueberries in the freezer already. 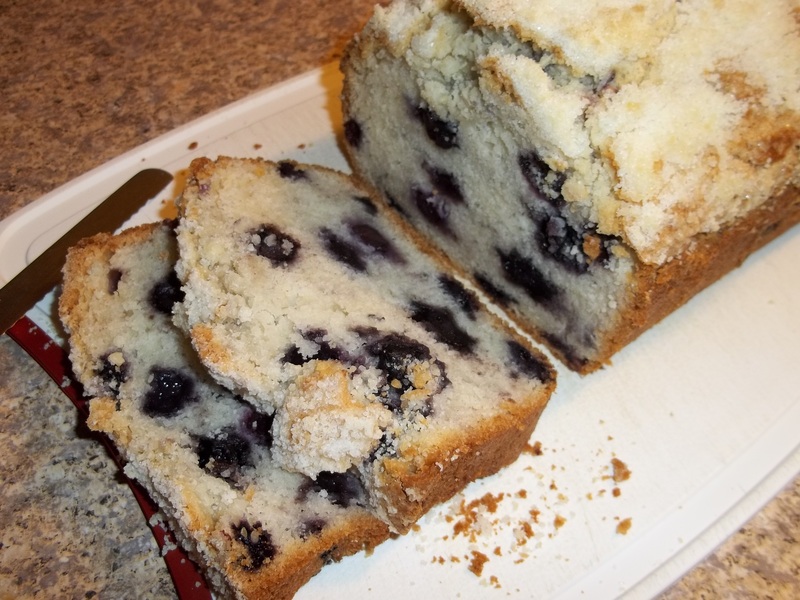 So I went searching through my cookbooks, sure I could find the perfect recipe to satisfy my blueberry craving. Enter this delicious bread from Southern Living. Just the thing I needed! This is more of a dessert bread, not really something you want to eat every morning for a healthy breakfast (though I’m all for indulgence once in a while!). I hope you enjoy, and until next time, Happy Cooking! Combine first 4 ingredients. Stir in 1 tsp butter until crumbly. Set aside. 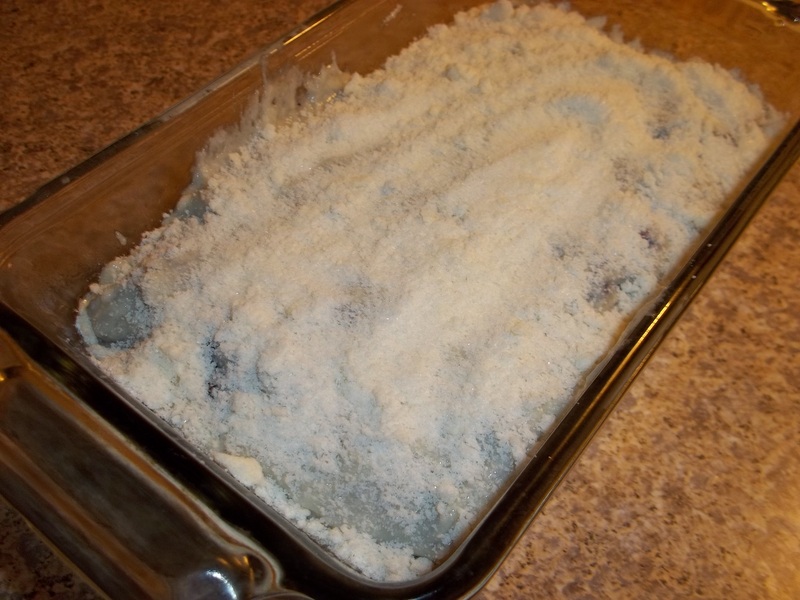 Combine blueberries and 2 Tb flour, tossing to coat. Set aside. Stir together remaining flour, sugar, baking powder, and salt in a large bowl. Cut in remaining butter until mixture is crumbly. Whisk together egg, milk, and vanilla. Add to the flour mixture, stirring until all ingredients are moistened. Fold in blueberries. 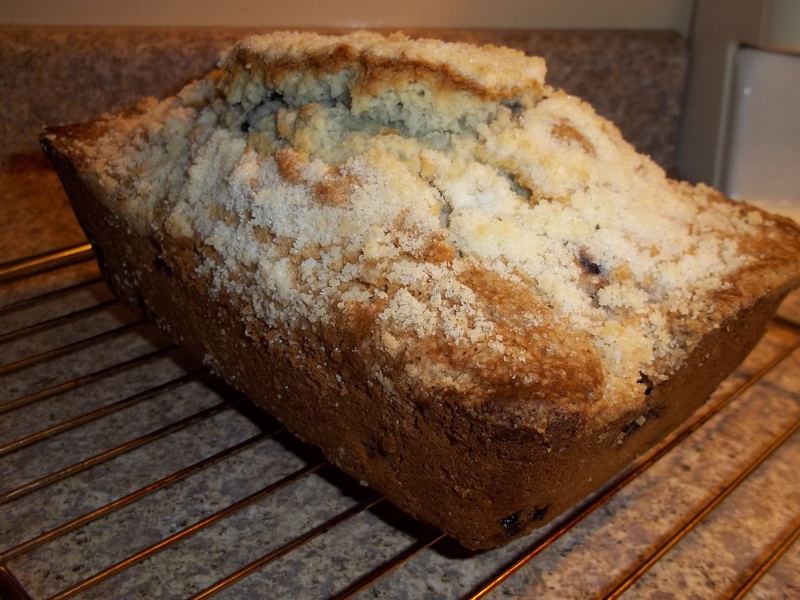 Pour into a greased 9×5 inch loaf pan. Sprinkle the almond mixture over the top. Bake at 350 degrees for 1 hour 10 minutes, or until a toothpick inserted comes out clean. Lest rest in the pan for 10 minutes before turning out onto a wire rack to cool. *All-purpose flour can be substituted for the cake flour. For each cup of cake flour called for, use one cup of all-purpose minus 2 Tb.